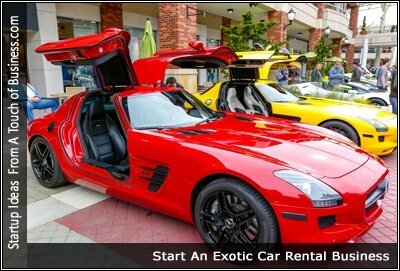 If you’re thinking of starting an exotic car rental business then you really want to look at all the resources and articles that took hours of research to collect and put on this page. I have organized the resources in a manner that’s easy to use, but to tell you the truth there are so many resources, it’s hard to keep them organized on one page you may want to bookmark this site, in case you want to return and use the resources. In this first section you’ll find the articles I have chosen, that can help you start an exotic car rental business, and give you an overview of what to expect from this type of startup. Below you’ll find an abundance of car rental business resources that you can use to start run and market your business. You may want to bookmark this page so you can use the resources anytime you need them. Have a look at the software available for car a rental business. You’ll need something to keep track of your rentals, maintenance, expenses, billing, etc. Have a look the systems below to see work best for you.